Eight adult mentors with dyslexia spoke to an audience of over 100 (which met venue capacity at The Site in Santa Fe) about growing up dyslexic with all its challenges and gifts. Then, each mentor spent the afternoon with a groups of students on a variety of highly interactive projects. This was followed by a highly informative panel of experts on dealing with schools in a positive and effective manner, chaired by SWIDA Board Member and May Center teacher, Amy Stanton. Rebecca L. Avitia is the Executive Director of the National Hispanic Cultural Center, and oversees the Center’s visual arts, performing arts, and history and literary arts programs. Before joining the NHCC, Rebecca was a Shareholder at the law firm Montgomery & Andrews, an Assistant District Attorney in Valencia County, and a Litigation Associate at the New York City office of Akin Gump Strauss Hauer and Feld. Rebecca received her bachelors in Sociology from Trinity University in San Antonio and her law degree from Columbia Law School in New York City. During law school, Rebecca also externed with then-Second Circuit Judge Sonia Sotomayor. Since returning to New Mexico in 2008, Rebecca has served as President of the New Mexico Hispanic Bar Association, been a member and leader in many professional and philanthropic associations, including serving as the Vice Chair of the Board of Directors for the non-profit incubator and micro-lender WESST, and as a member of the leadership council for the Hispano Philanthropic Society within the United Way of Central New Mexico. She has been recognized with an AV® Preeminent Peer-Rating by Martindale-Hubbell, as well as a “Top CEO” and “40 Under Forty Honoree” by the Albuquerque Business First, a Southwest Rising Star in Business Litigation by Super Lawyers, and as the Outstanding Young Alumna by Trinity University. Rebecca is a native New Mexican of Puerto Rican descent, and the proud mother of three young children. Ross Chaney grew up on the Osage reservation in Oklahoma with his Cherokee Grandma. He eventually went to college to study political science and Japanese. At a very young age, he decided that his future would involve being a local leader that was trained internationally. He draws inspiration from the philosophical and aesthetic influence of his years, studying in Japan where he went to graduate school. He left Japan and went to work for Lucent Technologies – Bell Labs. From there he moved to Santa Fe, NM to pursue various leadership roles in Tribal governments, nonprofits, public policy, art organizations and local, state, and city government. Ross credited his mother for all her support, especially in teaching him patience. James Dernocoeur is a Physician’s Assistant working in the Emergency Department at Presbyterian Health Care in Albuquerque. He has served as Clinical Faculty at Grand Valley State University and he is Chairman of the Grand Valley University Physician Assistant Advisory Board. He has served as a paramedic in various cities and he traveled to over 26 countries as an Emergency Medical Systems consultant. Daisy Guranichwas named New Mexico Montessori Teacher of the Year in 2017. She was born in Los Alamos, New Mexico and she has two daughters. She is a Montessori trainer with the Montessori Training Center in Albuquerque, and she is the Lead Early Childhood teacher at May Center for Learning, specializing in working with young children with developmental and speech delays. Daisy is passionate about following the individual child’s needs in her teaching. Daisy told the students to be patient, and to hold themselves accountable for learning. Her husband said he finally “got it” when he went through the Simulations on October 6. Jason Harvey was born in Colorado, the oldest of 3 boys. His family moved to New Mexico when he was a baby. Jason served a two-year mission for his church, worked two seasons as a whitewater river guide, was an auto parts manager, and an armored car vault manager. Jason started his career as an Albuquerque police officer in July 2000. He was an open space search and rescue officer with APD for 12 of his 19 years on the force. During this time, he was on the APD dive team and did many body recoveries. He also volunteered with NM Task Force One K-9 FEMA unit as a boat team manager, search team manager, and K-9 handler. He enjoyed that time of helping others and saving peoples’ lives with his dog Jessie P, a third-generation search and rescue K-9. Jason recently retired from APD. He now owns a business that sells off-road gear like shovels, rescue ropes, and mounting systems for jeeps. He started his business out of the garage and now sells through Instagram and his website all over the world. Jason was married in 2002, and he has three children He loves driving his tricked-out jeep, hiking, and being in the outdoors. Born and raised in New Jersey, Marjorie Hanus earned a Bachelors of Fine Arts and Masters in Teaching from William Paterson University. Soon after she finished her Masters Degree, Marjorie was drawn to teaching at a school specializing in autism and learning differences because of her own struggle with dyslexia. She moved to Santa Fe in 2007 and taught at a private school for several years before taking some time off to stay home with her children. Marjorie is excited to have the opportunity to work at May Center where she can help children reach their full potential. When she is not teaching, she enjoys spending time with her family and learning about natural health and remedies. Art allowed Marjorie to express herself; suddenly there were no barriers. Vanessa “Rockstar” Robinsonis a Rookie NASCAR Driver participating for the 3rd year in the NASCAR K&N PRO SERIES. At the age of thirteen, Vanessa made her racing debut at the Southern New Mexico Speedway in her hometown Las Cruces, New Mexico. In 2009, Vanessa won the Championship Dirt Street Stock Race as the Youngest Female Driver in Las Cruces, New Mexico. 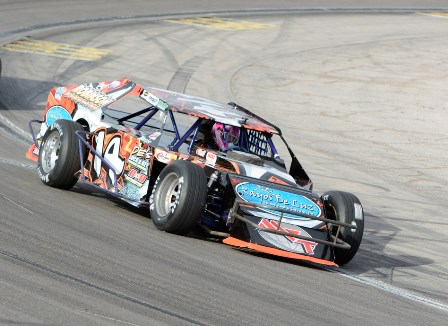 In 2012, She was the First Female to join the Lucas Oil Modified Series. 2015 was one of Vanessa’s most successful years. Not only was she named Rookie of the Year in Super Late Model at the Tucson Speedway, but also for the entire state of Arizona as well as in NASCAR Whelen All American Series. She was also the first female driver to win a major event at the Tucson Speedway and was that year’s driver with the most wins. Vanessa was also invited to participate in NASCAR ‘Drive for Diversity’ Combine where she and her team finished 2nd in the Super Late Model Category. One of Vanessa’s most notable events of the year, however, was winning the Championship at NASCAR’s Inaugural North American and being named the First Female Hispanic NASCAR Driver in the K&N Pro Series. In 2016, Vanessa “Rockstar” Robinson was honored by Congressman Pearce at the New Mexico Hispanic Heritage Month Conference. Vanessa’s dream is to move on to the National Cup Series. Her notable recognitions in a male-dominated sport are not the only thing that make Vanessa stand out. She also has dyslexia. Vanessa’s ‘Determined Will’ has enabled her to rise above the challenges she has faced. Not only is Vanessa “Rockstar” Robinson breaking barriers at the track but she’s also doing it in life. Vanessa talked about being bullied, her talent in working with numbers, and in problem solving. TUCSON, AZ (Tucson News Now) – Tucson Speedway is buzzing with energy and excitement in the midst of their racing season. 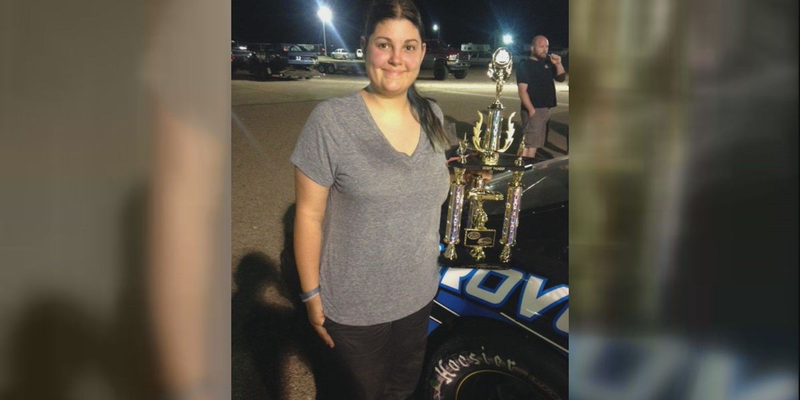 After winning the Desert Thunder race at Tucson Speedway on August 1st and another main event race, Vanessa Robinson, 25, and race car #14, has been chosen as the 2015 Tucson Speedway Rookie of the Year. Vanessa has applied to NASCAR’s Drive for Diversity program. The main purpose of the diversity program is to attract minorities, females and a more diverse audience to the sport of car racing. She also earned the opportunity to participate in the first-ever NAPA Filters Drivers Expo Powered by Toyota that will be conducted by Bill McAnally Racing in Northern California on August 27th and 28th. Vanessa comes from a racing family! Her mother, Luz Robinson, was the first woman to win a championship at Southern New Mexico Speedway. Her father, Martin Robinson, was also one of the best racers in the southwest and best race car and engine builder. Her uncle, Manny Nunez, was also one the best drivers at SNMSpeedway. No wonder Vanessa was born with the need for speed! She made her dirt racing debut at the age of 13. She started in the Street Stock Class and won numerous races and then, the championship. It did not stop there. She moved to the Dirt Late Model class and won a Rookie of the Year title. Vanessa also competes with the Dirt Modifieds in special races. Vanessa moved to Asphalt racing, competing in the Modified class and earned another Rookie of the Year. She has traveled with the Lucas Oil Modified series and became the first woman to compete in the very tough class…the Lucas Oil Modifieds! Last year, she was invited to participate in the Late Model class in California, running four races with car owner, Junior Roddy. She had a great race. That’s when Vanessa and her family decided to make Tucson Speedway their track for the 2015 season in the Super Late Model Class. She learned what she knows about racing from her father…watching him and her uncle race and studying every lap they took. The advice she received from her father has been extremely valuable and has made her a great driver! Copyright 2015 Dark Horse Media. All rights reserved.